Today, Rockstar Games posted details on the over 50 usable weapons in Red Dead Redemption 2, including the range of options for customizing weapons and the wide selection of different ammo types that’ll provide improvements to accuracy, range, or damage. There is also more information on Dead Eye, which temporarily slows down time, giving players the ability to fight enemies with greater precision. Guns will get better the more you use them; however, they will start to gradually degrade over time, so players need to make sure to keep their weapons clean and oiled. Some of the customization options are visual, like applying new metals, woods, and engravings to components of a weapon. Some of the different ammo types include Split Point, High Velocity, and Explosive, all of which provide extra stopping power. You can also customize and upgrade your holsters, reinforcing them so they won’t degrade as fast and providing new options for weaponry like a second holster for duel-wielding or another weapon such as the sawed-off shotgun. 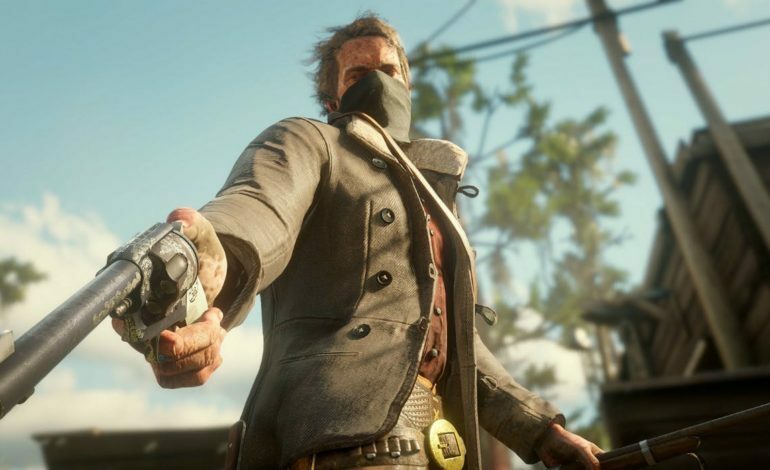 Throughout the post, Rockstar highlighted several weapons that players can choose from. The Cattleman Revolver is a good, balanced option with an ammo capacity of 6 rounds. The Pump-Action Shotgun is a powerful weapon, ideal for close range combat with enemies or wild beasts. The Carbine Rifle has a solid firing rate and a quick reload speed because of its tube-loaded magazine and the Bolt-Action Rifle is an ideal choice for long-range combat because it’s strong and versatile and has an ammo capacity of 5 rounds. Similar to Red Dead Redemption, the new Dead-Eye system will gradually expand and evolve throughout the game. The system allows automatic target selection, manual shot placements, at-will shooting in slow motion, and one of the newest features that have been highlighted in the gameplay trailers: pinpointing and attacking the weak spots of enemies. Red Dead Redemption 2 Releases October 26 for the PlayStation 4 and the Xbox One.